The Armed Forces Vacation Club (sometimes shortened to AFVC) is another great benefit of being in the U.S. military! 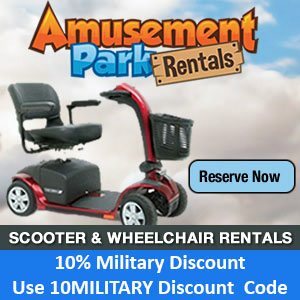 Great discounts are available on condo rentals worldwide at very reasonable rates for military members. Seven night vacation rentals of resort condos, many in the Orlando Florida area, are available from $369, that works out to just 47 Dollars per night! AFVC also offer nightly rentals at a higher rate if you don’t need a whole week. There are many offerings in and around the Orlando/Kissimmee area, within a short driving distance to Universal Orlando. If you are planning on a week-long stay at Universal or in the Orlando area and really want to save on your room this is the way to go! 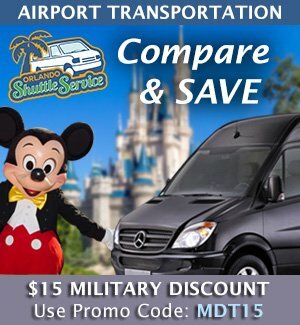 As long as you have transportation, a Rental Car or you are driving your own car to Orlando, you’ll save a bunch. 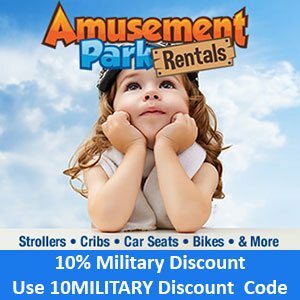 Armed Forces Vacation Club offers space available rentals to DoD and affiliated personnel. Condos sleep from 2 to 6 normally, sometimes more. Offerings include one or two bedrooms with full or partial kitchens. These vacation condos are located in very nice resorts with pools. You’ll save even more preparing your own meals in the kitchens! You can search listings on their web page and view all the specifics of each resort. I’ve not used this service but I do know people who have and they’ve been very satisfied. When you click on an individual resort you’ll see a list of room types available on different dates. Also you’ll find additional information on the resort inclding: a link for a pop-up list of Amenities, Highlights, Directions, and Additional Information. You can then Google search the name of the resort for more information. Maid service is available upon request for an additional fee.